In 2007, Smithsonian Folkways Recordings and the Smithsonian National Museum of African American History and Culture began a multi-year collaboration to explore the rich African American musical and oral heritage in the USA. The Classic series is an enjoyable introduction to the diverse repertoire of American music available from Smithsonian Folkways Recordings. Smithsonian Folkways Recordings, in collaboration with the Aga Khan Trust for Culture, is producing a 10-CD set documenting the musics of Central Asia. 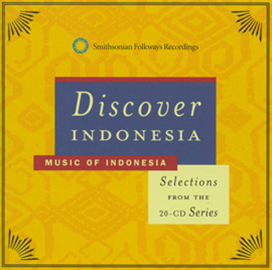 This acclaimed 20-cd series documents the music of the Indonesian archipelago, introducing listeners to dozens of beautiful and varied musical styles from throughout this complex island nation. The Smithsonian Folkways Recordings Latino Music Initiative proudly offers a series of new releases that showcase the diverse musical heritage of the more than 40 million Latinos living in the USA. 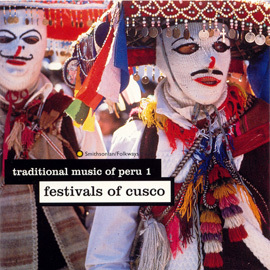 It is in the interest of international cooperation and understanding that we bring to you this series, recorded and annotated by outstanding Peruvian ethnomusicologists and anthropologists.